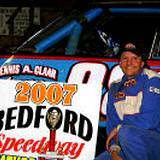 The Great Bedford Fair 138 Year Tradition! 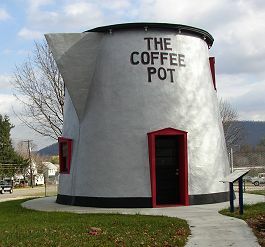 Just look for a famous landmark built 1925, The Giant Coffee Pot, parked outside the Bedford County Fair fairgrounds. At least 50,000 visitors are expected to attend the festivities through the week. 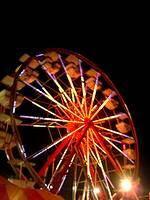 Fairgoers have no idea the preparation that goes into planning an event like the Bedford County Fair. John H. Holbert and his son , fair manager Jen E. Holbert, spend all year prepping for the week-long event. 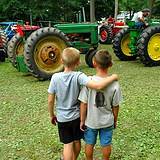 The Bedford Fair is also known as "the Johns." John H.'s first year with the fair was in 1954, when he was the Penn State Cooperative Extension agent for the country. John E. Began showing sheep there in 1967, when he was 10. 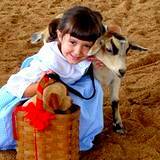 The Bedford Fair is a 138 year tradition. There's an interesting history behind the Giant Coffee Pot that stands outside the entrance to the Bedford Fairgrounds. It was once a very popular lunch stand but after years of standing empty and scheduled to be torn down it was rescued and restored, then moved to its new location. There are only 5 of these coffee pots left in the United States, it's an historic landmark rarely seen by travelers today. The Bedford County Fair is proud of young 4-H Club and Future Farmers of America members, they show their cows, sheep, goats, hogs and other animals that they have spent all year raising for competition. If you are spending a few day in the Bedford County area take a scenic tour of the historic Lincoln Highway. Make a stop at the world famous Jean Bonnet Tavern and treat yourself to a great meal. Every Pennsylvania Fair is different and every Bedford Fair is different. I don't know how they do it year after year but you will never find two years exactly alike. 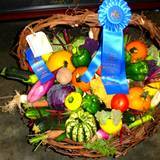 There are always new games, new prizes, different foods and exhibits. The midway is always loaded with exhibits and entertainment for the entire family. With over 50 concession stands loaded with just about any kind of food you can imagine and then some you can't, your taste buds alone will thank you for going. Most of the food concessions are by local clubs and restaurants, so you can be assured that the food is fresh and kept safe. You'll find games and prizes that will keep you entertained. Kids especially love playing the games of challenge and chance. 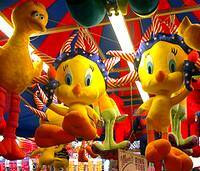 There's always so many great prizes to choose from that can only be found at a fair. There's only one thing that kids love more than the games and that's the rides. 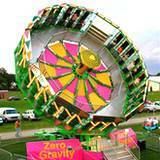 Every section of the Bedford County Fair has a certain feel at different times during the day. I love attending the agriculture and livestock exhibits during the afternoon but the carnival comes alive in the evening. Once all the bright colored lights come on and the loud music from the rides and prize booths start blaring everything just seems to come together. It's awfully hard to say goodnight to the fair because you know you won't see this excitement for another year. The Bedford County Fairgrounds are located just west of downtown Bedford,Pennsylvania on Business Route 30, which is also West Pitt Street. The Fairgrounds can also be reached from the Bedford exit of I99. When approaching Bedford from the north there are three (3) Bedford exits. The first two exits refer to Route 30 East and West. The third exit is marked Bedford, which empties onto Pitt Street (Business Route 30). The Fairgrounds are visible to your left. No dogs or pets allowed on Midway or Grandstand, with the exception of guide animals..